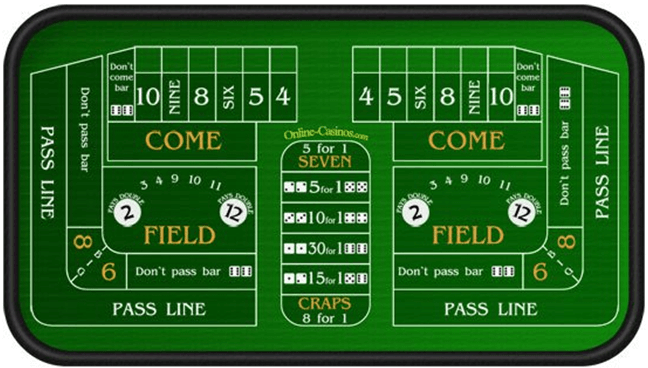 Home » Answers to Common Questions » Are there any tips to win the game of craps? 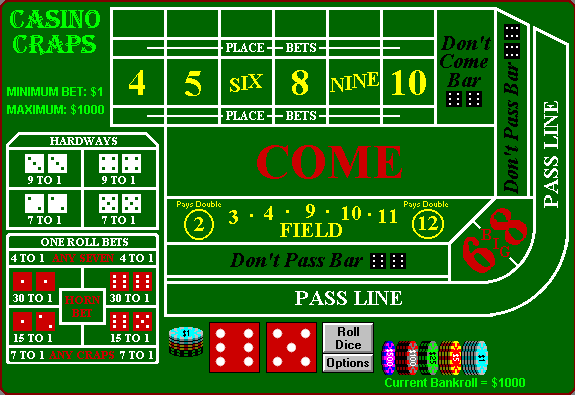 Craps is well known dice game available at both online and land real casinos to play. You can play this awesome game at Crown casinos in Australia and Perth or at online friendly casinos like Rich casino, Emu Casino and others in real AUD or Bitcoins. This simple game is based on the outcome of the roll of a set of dice. After the roll of the dice, one of the outcomes is possible; you either win, or loose or neither upon which the game continues for one or more rounds. The betting table might look like a confusing junction of an array of betting options at first but once you know what each of them mean, it’s as simple as the roll of the dice. 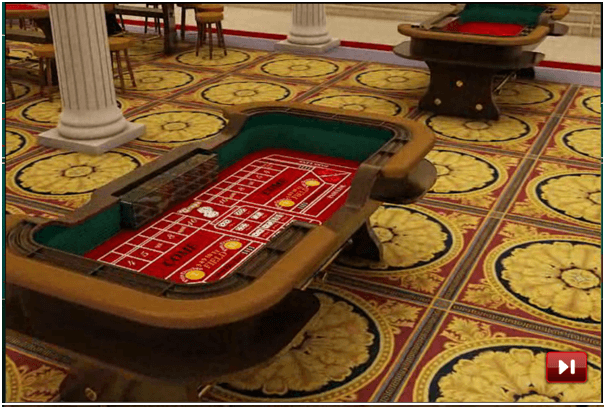 You can virtually bet in anything on an online craps table. Players can bet on any part of the table in craps which is why the energy on a game of Craps is on a higher level than most table games. To start betting, you first have to choose a chip size which ranges between $0.1 and $100.00. 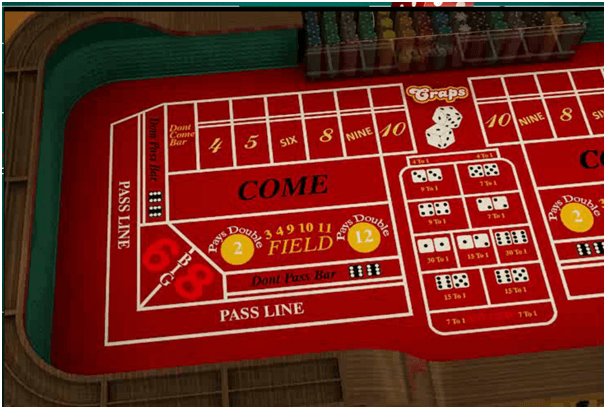 After selecting the chip size and placing them on the betting areas, you can click Roll after which the shooter rolls the dice. 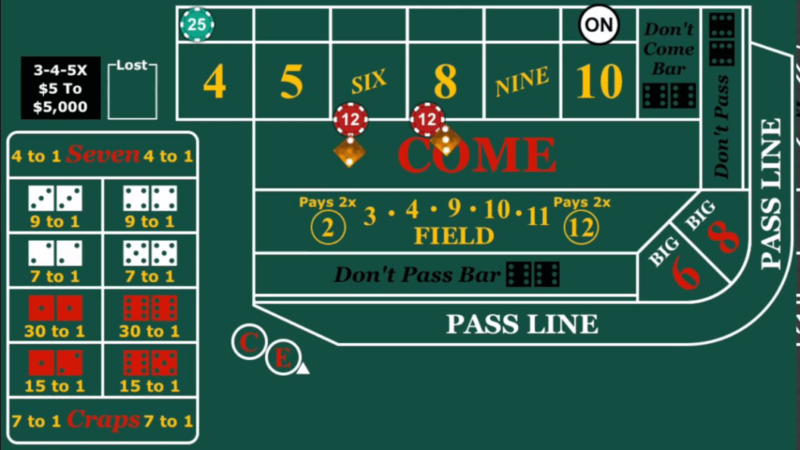 If you want to win at the craps table all you need is first understand the game properly and know the rules and different betting combinations. Also have some sort of understanding of the house edge so you know when and where to bet and why. There are 11 numbers that can be rolled with a pair of dice, some easier to roll than others. Put the smallest amount on the “don’t pass” or the “don’t come” bet and wager the largest amount behind it as the house edge is on the don’t pass/don’t come bets, which only pay out 1:1 if you win. But the player has the advantage on the free odds bets those behind the don’t pass/don’t come line, which pay out at the actual mathematical odds, which means if you play it right, the house has no advantage at all. Free odds bets are the only bets in the casino in which the house has no advantage. But you have to bet in the right increments because most casinos won’t pay out in fractional dollars. Like in free odds payouts on 6 and 8 are at a 6:5 ratio i.e. bet $5 get paid $6– bet in increments of $5. Free odds payouts on 5 and 9 are at a 3:2 ratio, so bet in increments of $2. Free odds payouts on 4 and 10 are 2:1 so bet in whatever increments you like. The house edge is on the pass line and the come line but the player again, has the advantage on the odds portion of the bets. 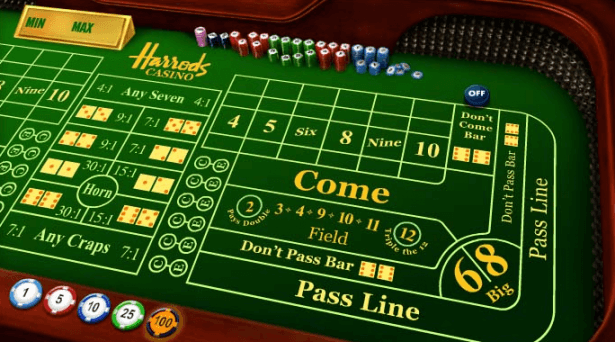 When you’re playing in multiples of $6.00 or the currency of your choice, place the six or 8 place-to-win bet as the casino has only a 1.52% edge which means that you’ll be paid out seven dollars when the number hits and easy profit every time. In this bet, you put down $8.00 (remember you have to bet in increments of $2 as the odds are 3:2, meaning for every $2 you bet you get $3 if you win and bet that the numbers above will lose. The house edge on this type of bet is low – only 2.5% so when the 7 shows as that happens often, you’ll win $5.00. 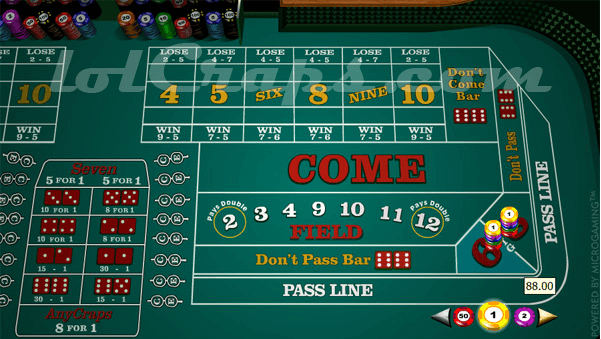 Now use these effective tips on how to win at craps every time by reducing the house odds you are increasing your own chances of winning big. Try the game for free at online casinos and play for practice in demo mode to learn the game before you indulge in real money play. Where can I play pokies in Toowoomba? What is online sports betting and what are the different kinds of bets to make on sports? What are the benefits of playing pokies in your home currency?